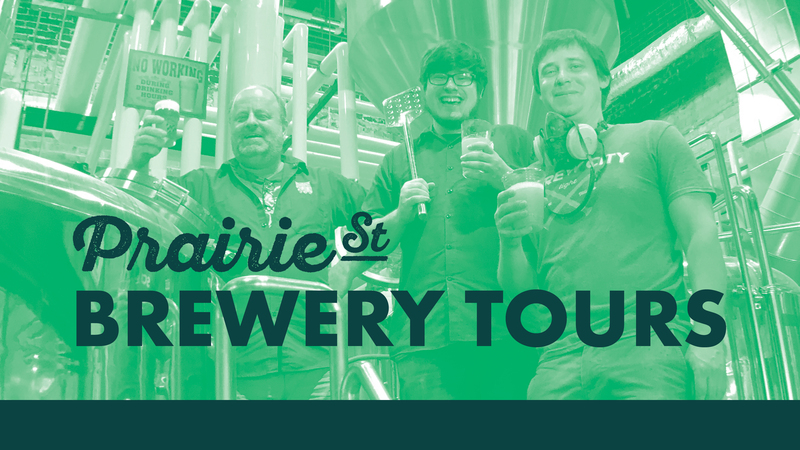 Get a behind the scenes tour and tasting of the Prairie Street Brewing Company facilities! $ 10 gets you a 45 – 60 min brewery tour, beer tasting (of at least 4 beers, but probably more! ), and a PSB pint glass to take home! Tour groups of no more than 15 people will be guided through the brewery, by our brewers, all while learning about the ingredients, the brewing process, the history of our location, and the love that we put into each and every glass of beer.